2019 marks the 70th anniversary of the 1949 Geneva Conventions. Being the only universally ratified treaty in the world, it is an affirmation that the principles of International Humanitarian Law (IHL) are truly neutral. IHL aims to limit the suffering of civilians during an armed conflict and restore dignity to all those who are no longer party to a conflict. The ICRC currently works in over 80 countries around the world but under conditions that are widely different from those 20 years ago. With the nature of conflict changing rapidly and with the advent of newer technologies, the ICRC understands the need and urgency to reflect on the relevancy and applicability of the Geneva Conventions to protect those who are most vulnerable. 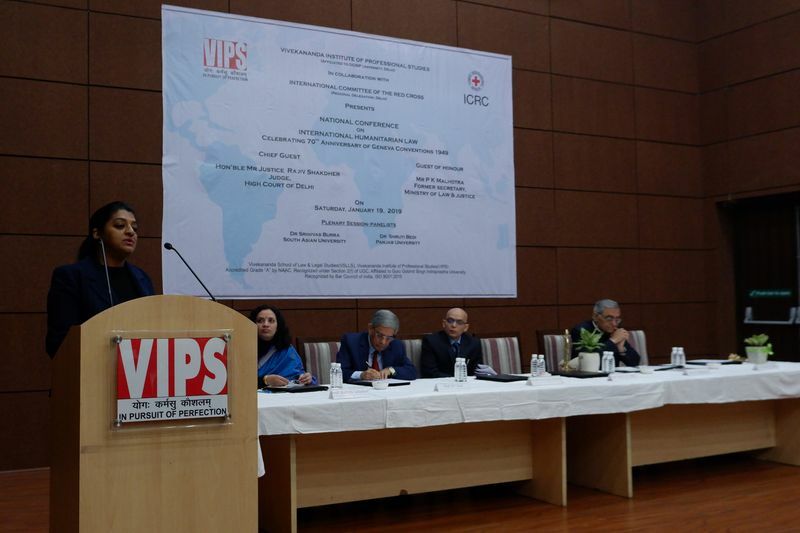 With that understanding, the Vivekananda Institute of Professional Studies (VIPS) and the ICRC organised a national conference on IHL, celebrating the 70th anniversary on 19 January 2019. 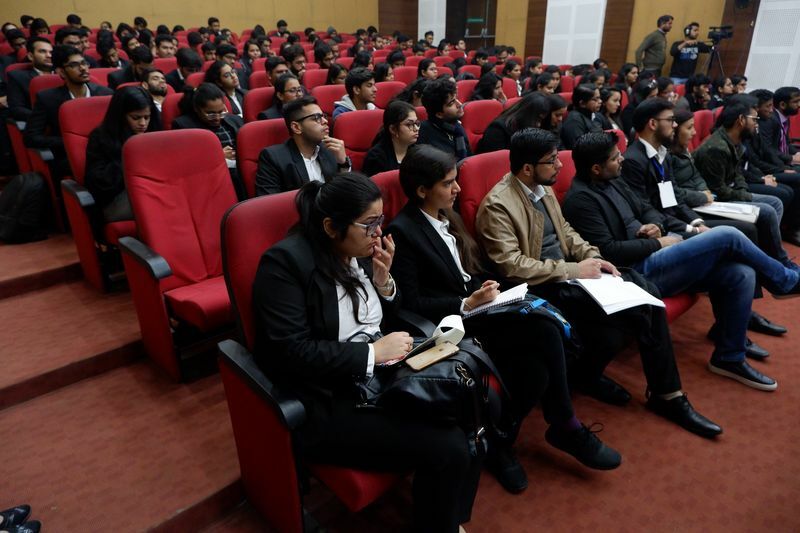 Speaking at the inaugural session of the conference were Rajiv Shakdher, Judge at the Delhi High Court; PK Malhotra, former Secretary, Ministry of Law and Justice; BT Koul, Chairperson Vivekananda School of Law and Legal Studies and Dr Anuradha Saibaba, Legal Advisor ICRC. Focussing on the principle of humanity in her inaugural address, Dr Saibaba said that all stakeholders must work towards a world which is more humane and which reaches out to the most vulnerable. Complementing the ICRC for working with academic institutions to increase IHL acceptability among the younger generation, PK Malhotra stated that countries must ensure that international treaties are integrated into domestic laws and legislations. Echoing the idea of implementation, BT Koul stated that looking ahead, the conventions have to be in sync with artificial intelligence (AI) weapon systems as traditional warfare has radically changed. Justice Shakdher cited that the lack of a universal definition of armed conflict meant that many such situations are termed as “law and order” situations by States around the world. Alluding to the Hindu epics of Ramayana and Mahabharat, he pointed that these texts too spoke of rules of engagement, breaking of which led to the suffering of thousands of civilians. Despite the fact that all religions speak of the negative consequences of conflict, wars continue to take place. He said, “we need to work at the idea of peace,” if we want a peaceful society. 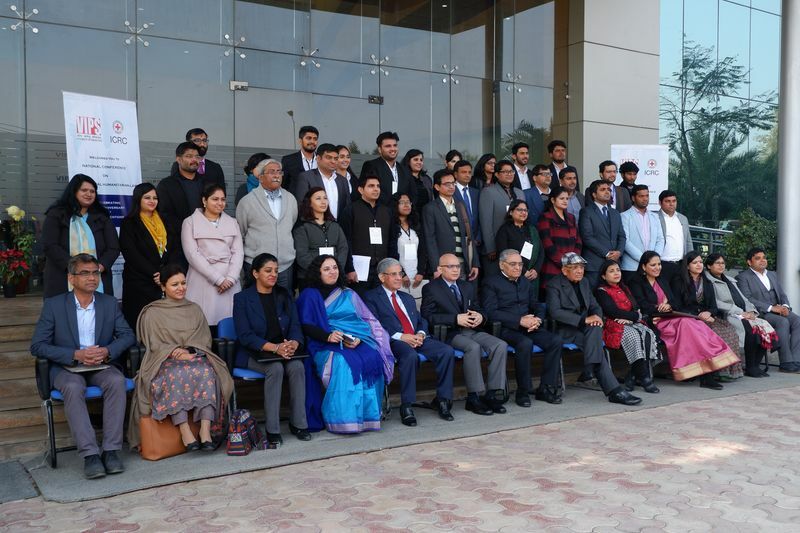 The conference saw the participation of over thirty academicians from across India who elaborated on the themes touched upon by the speakers.